2013 was without a doubt my China year. Unlike other travel bloggers I haven’t stayed there for several months or even a year, but China has definitely stolen my heart. I have been to China once before, in July and August 2010, when travelling through Yunnan and Tibet. At that time already I absolutely loved it and have always planned to go back to see more of the Middle Kingdom. But I have never expected that it would blow me away that much and that I would travel there twice in eight months. 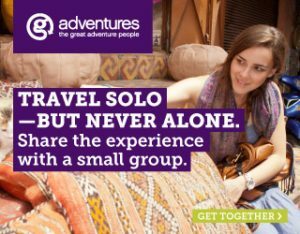 At any one time I have stayed there for three and a half respectively four weeks and have spent a few additional days in Dubai, Hongkong and Thailand. Booking my first China trip for 2013 was the very last thing I have done in 2012, I have fixed everything in the late afternoon of New Year’s Eve. On the 9th April I set off. I have flown to Dubai where I spent the night and one fantastic full day before catching my flight to Beijing. Before getting there I was a bit insecure If I’d be able to spend three days in China’s capital on my own as I had been told before, that English is not widely spoken, even in the big cities like Beijing. This is what I have encountered as well. I have got the impression that only every twentieth Chinese there speaks english and apparently I have often met the other Nineteen. But I have also experienced, that the people are extremly helpful, at least those who speak a little English. But after a scary experience which I have made on the day of my arrival, I have highly enjoyed my time there and have fallen in love with China’s capital. I have explored the Temple of Heaven, the Summer Palace and the tibetan Lama Temple before meeting my 13 travelmates from South Africa, Denmark, the UK, Italy and Germany and our chinese guide Leon with whom I have travelled all across the Middle Kingdom. 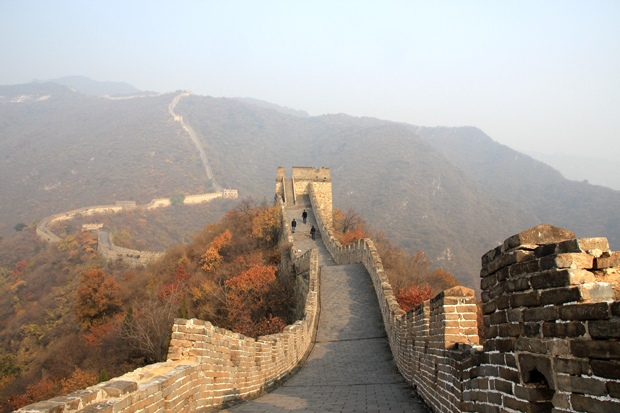 We have discovered the Great Wall at Mutianyu, the Forbidden City and the Tiananmen Square. After Beijing we have visited Shanghai, Xian and Chengdu. 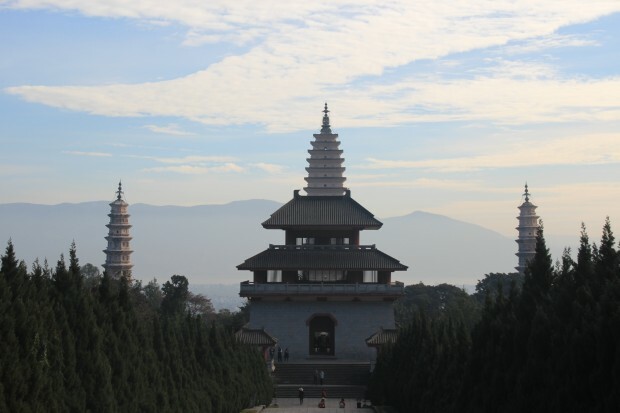 From there we were supposed to continue to Mount Emei Shan where we intended to stay in a monastery for two days, but the day before we have flown from Xian to Chengdu a heavy earthquake hit the city Ya’an – only 116 kilometres away from Mount Emei Shan – killing about 1000 people. The tour operator therefor decided to cancel that part of the trip and we have stayed three nights in Chengdu instead of one. 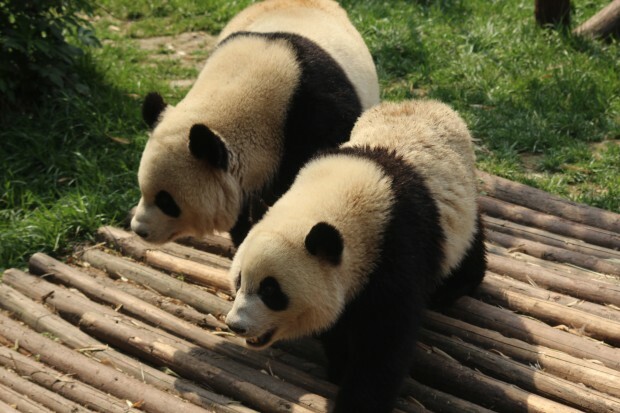 From there we have taken two half daytrips to the Giant Buddha of Leshan and to the Panda Breeding Center in Chengdu. 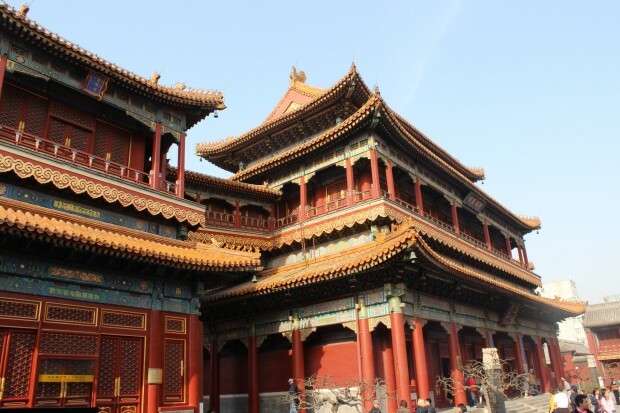 We also have had enough time to explore the Ancient town, the People’s Park and the Wenshu Yuan Monastery and to attend a performance of the Sichuan Opera. From Chengdu we have taken the bullet train to Chongqing where we have boarded our Yangtze boat. 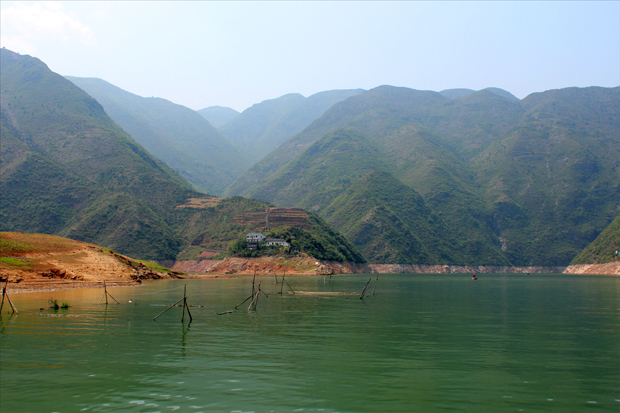 We have cruised the Yangtze for two nights and one day, before continuing onto Yangshuo by train and bus. There we have cycled through the rice paddies and glided along Li river by bamboo raft. 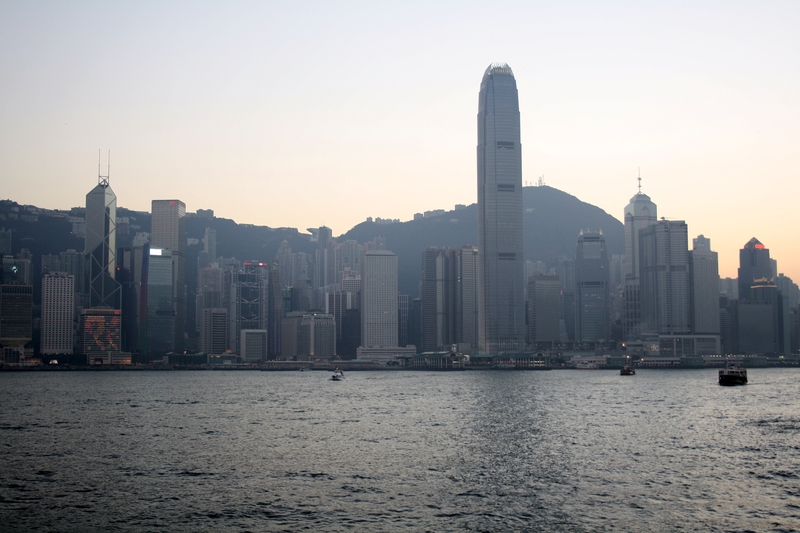 I have been very sad when our tour has come to an end in Hongkong. The landscape and the culture, the people I have met and the experiences I have made on this trip have absolutely blown me away. I have had a wonderful group for those 21 days and with Leon an absolutely fantastic and outstanding guide. I have had many tour leaders and guides on all my travels, great ones, good ones and less good ones, but Mill, who has led my first China trip through Yunnan and Tibet, and Leon positively stand out. They have made my trips to something very special and to lifetime-experiences. 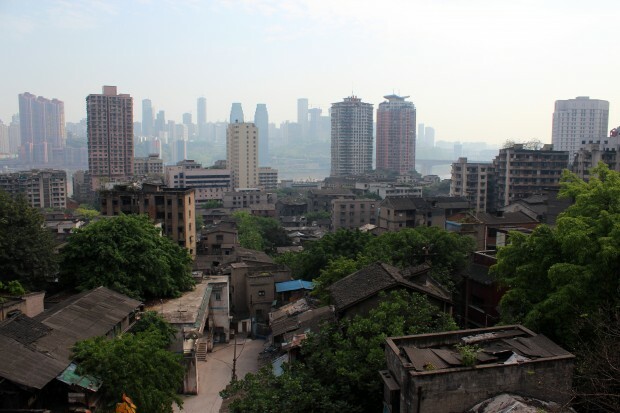 Right after coming home from my first China trip of 2013 I knew that I want to go back to China as soon as possible. In August I decided to go back still in 2013 and on the 17th October I have headed off again. My second China trip in 2013 has been sort of a reunion and revival tour. Before leaving home I have hoped to see Mill and Leon again who both live in Beijing and I have had the very great luck to meet both. I have spent an evening with Mill in Beijing who has taken me to a great tibetan restaurant and we have had lots of fun together. And I have been more than lucky to get Leon as a guide for my most recent China trip again and have travelled with him another 21 days through China again. Both, Mill and Leon, have became friends and important for me. I have had loads of great talks with both of them on my travels. For me, they are really inspiring people. Both are two of those very few persons who you really like from the very beginning. I really hope that we’ll stay in touch, but it is not as easy as with other people, as both live in China where Facebook, WordPress, Twitter, Youtube and other websites are banned and not everyone uses a VPN. I have started my most recent China trip again with one night and one full day in Dubai, a city which I love! For me, Dubai is the gateway to Asia and a perfect place to pause when flying east. From Dubai I have catched my plane to Shanghai where I have discovered the Jade Buddha Temple and further explored other places I have visited before. After spending four days there I have flown to Beijing, my favourite city in China and one of my favourite places in Asia. As much as I was concerned when flying there the first time as happy I have been when I have got there again. In Beijing I have spent another four days on my own before meeting Leon again. With him and with 15 people from different countries I have travelled again all across the country. 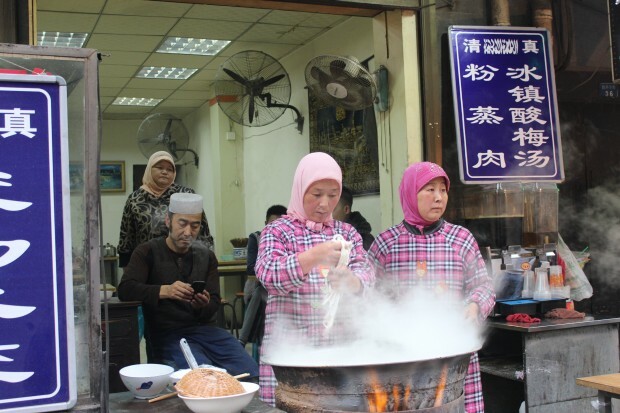 We have visited the Terracotta Warriors and the Muslim Quarter in Xian and have enjoyed a Dumpling Lunch there. 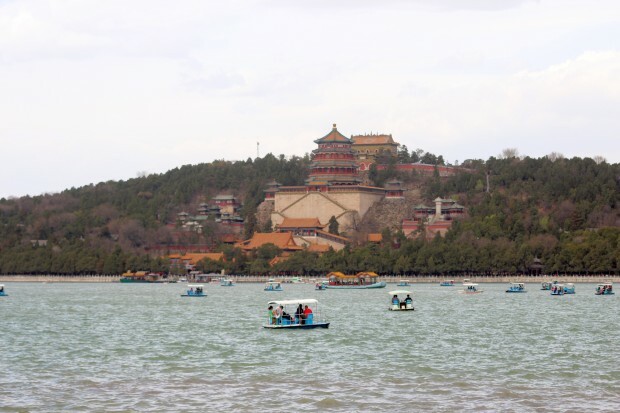 We have encountered the Giant Pandas in Chengdu and the Giant Buddha in Leshan. 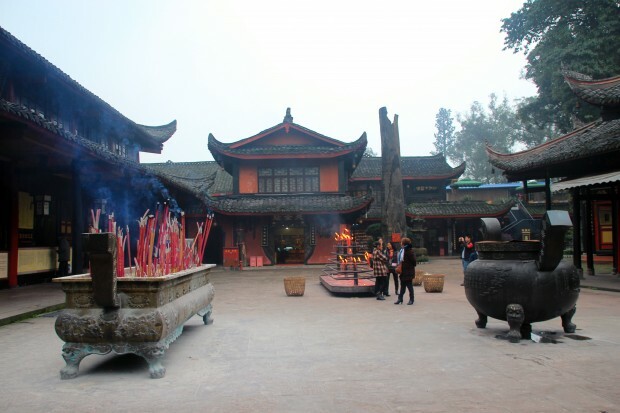 We have spent two days and two nights in a buddhist Monastery on Mount Emei Shan and have met Patrick there, a former monk who used to live in the Monastery when he was young, but was forced to leave when he fell in love with a woman. He is still in good contact with the monks and has assisted us while we were there. He has been a great help and is a fantastic person, someone I have had a few good talks with. After our stay Mount Emei Shan we have gone back to Chengdu from where we have flown to Lijiang. There we have explored two nearby villages of the Naxi Minority on a half-day bike ride through the countryside. I have also visited the Black Dragon Pool Park by myself on our free morning. 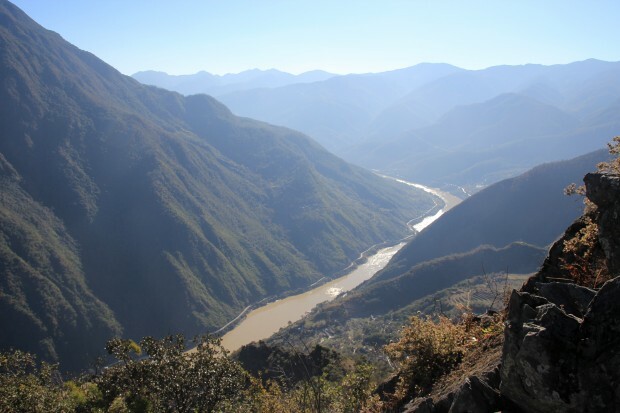 From Lijiang we have driven to the Tiger Leaping Gorge where we have done a two-day-hike. It has been really extremly challenging but the landscape is absolutely stunning and breathtaking and definitely worth the effort. In Dali we have had a very good local guide from the Bai minority who is called River, as his chinese name, translated into English, means River. He is a friend of Leon and has guided us on a fantastic full-day-trip into the countryside around Dali. I have also visited the Three Pagodas. 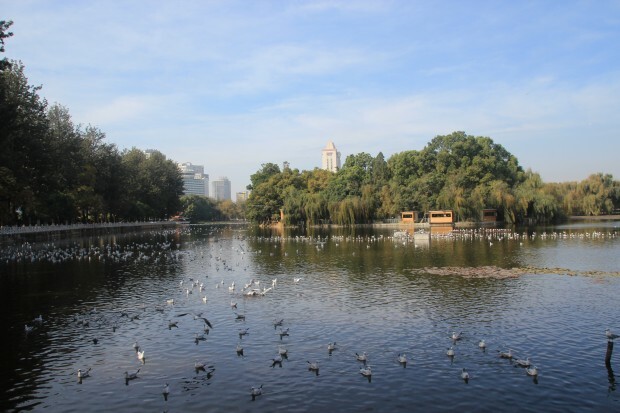 From Dali we have driven to Kunming where we have strolled through the Green Lake Park. Additionally I have visited the Yuantong Si Temple by myself. The time in Kunming has been too short, but fortunately I was there before in August 2010 and at that time had the chance to visit the impressive Shilin Stone Forest. In Yangshuo I have attended a Tai Chi-Class and watched the Light Show which is directed by Zhang Yimou, who also directed the opening and the closing ceremony of the Olympic Games in Beijing in 2008. 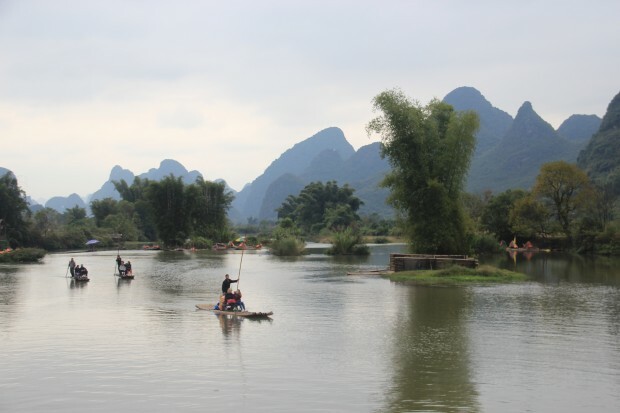 With the group we have taken a boat tour on the Li River and cycled through the karst landscape. 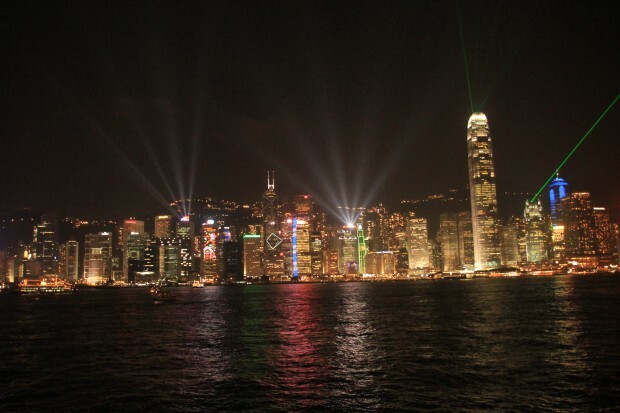 The tour has again finished in Hongkong. 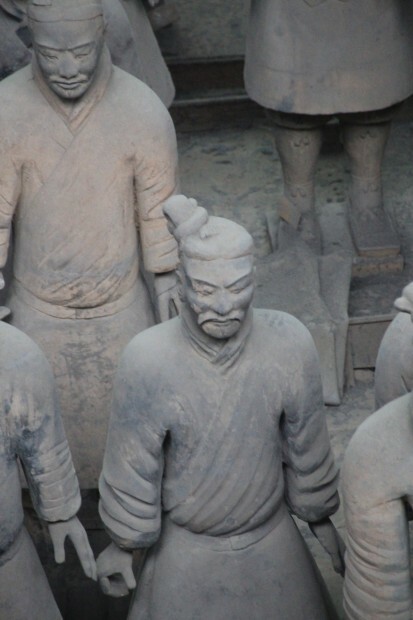 I have re-visited several places like the Great Wall at Mutianyu, the Terracotta Warriors, the Giant Pandas and the Giant Buddha, but I have also discovered new ones like the Jade Buddha Temple in Shanghai, the Confucius Temple and the Beihai Park in Beijing, Mount Emei Shan and the Tiger Leaping Gorge. The last two have been the reason why I have booked this trip. 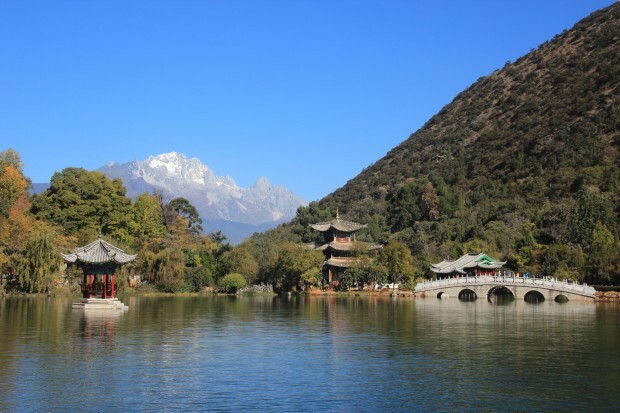 I also wanted to go back to Yunnan Province even though I have been to Kunming, Dali and Lijiang before, but during my first visit there in 2010 it has been pouring down. This time the sun has shone. I have been a lot more active on this tour than I was on my previous two China trips. This time I have ascended the 45o steps to the Great Wall, last time I have taken the Cable Car. 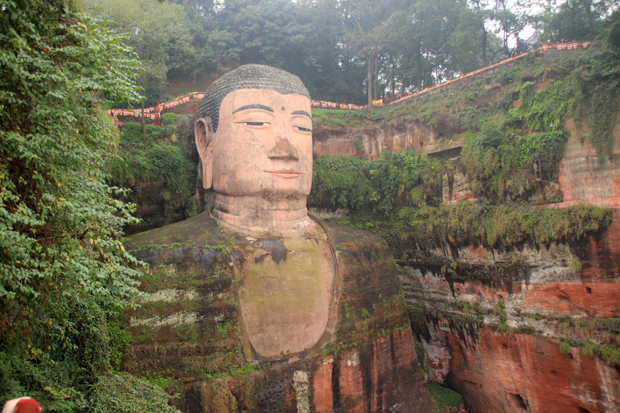 This time in Leshan I have hiked up to the head of the Giant Buddha, in April I have taken the boat which passes by the statue. I have done a 16 to 20 kilometres hike on Mount Emei Shan, Leon has offered our group, mainly going uphill. 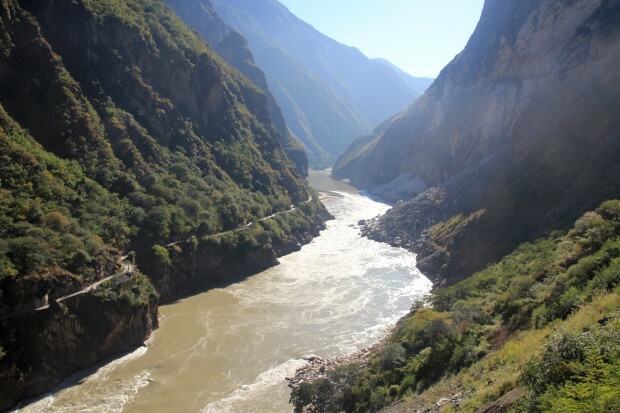 And I have hiked the Tiger Leaping Gorge even though I have hired a mule, but only for the 28 bends, which are the hardest part of the trek. 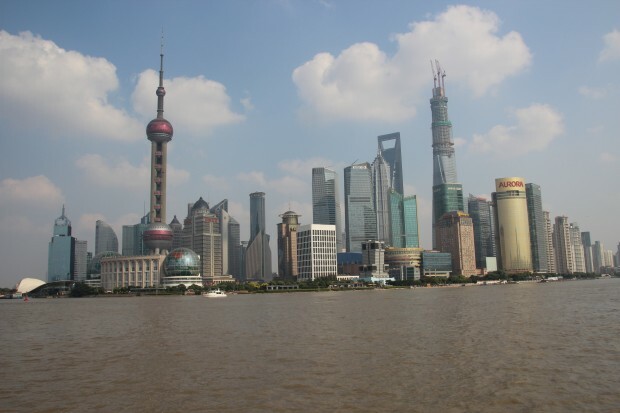 On both trips we have taken all modes of local transportations: the metros and local public city buses in Beijing, Shanghai, Xian, Chengdu and Hongkong, bullet and overnight sleeper trains, planes, public and private overland buses, taxis, boats and a bamboo raft. We have also stayed in original accommodations. I have got a deep insight into the country and the culture, deeper than I thought it would be possible. I have got in close contact and mingled with the locals, closer than I have hoped for and I am more than happy about that. I haven’t written much about my China trips yet, but I will definitely do so in the next weeks and months. 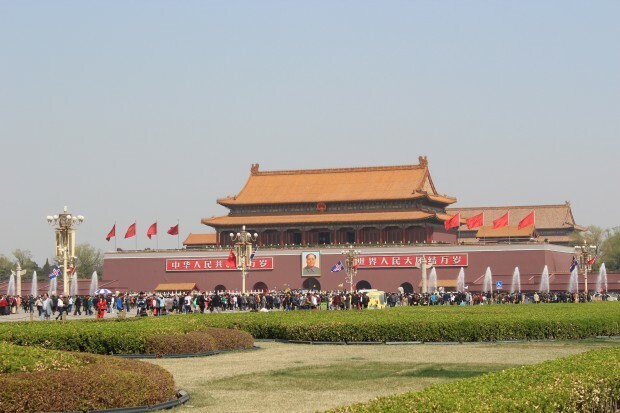 I will initially continue to report about my first China trip of 2013 and then probably write about my tour through Yunnan and Tibet, as both together explain my love for this country and its people. Then I will tell more about my most recent China trip. The Hall of Prayer for Good Harvests, seen from the Temple of Heaven park between the inner and the outer wall. First I wish that all my beloved ones and I stay healthy. This is most important. Then I hope that there will be a few positive changes workwise in 2014. Another big wish is to keep in touch with Mill and Leon and with a few others I have met on my travels. I definitely want to go back to China to see a lot more of the country. I want to dive deeper into the culture and into buddhist religion and I want to get in even closer contact to the local people. I want to get off the beaten tourist path and discover the more remote and even more pristine areas. The chinese part of the Silk Road with places like Jiayuguan, Dunhuang, the Mingsha Sand Dunes, Turpan, the Taklamakan desert and Kashgar as its most western point, is currently on the very top of my wishlist. 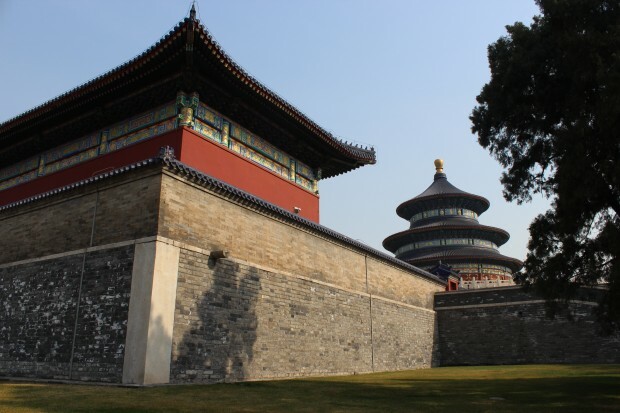 I would also love to hike along other parts of the Great Wall like Jiankou, Gubeikou, Jinshanling, Simatai and Huangyaguan and explore Inner Mongolia, Datong and Pingyao. I hope that I can travel with my boyfriend to Vietnam or Indonesia, maybe in fall. As I have experienced myself that WordPress is banned in China, I am planning to set up a self-hosted blog and move my blog to WordPress.org in the next few months. I didn’t have any access to my own blog while being in the Middle Kingdom and could only see parts of the sites of people who have made their blog their own on WordPress.com, but had full access to self-hosted blogs on WordPress.org. Also, I want to have access to my blog when travelling to China in the future and I would like that my friends in China can read my blog as well. My special thank you goes to Lucy and James for the many tips and advices they gave me and for being more than helpful, but I would also like to thank Ashley for her tips about a self-hosted blog. Many thanks to all my followers and to all of you for your comments, your likes and for reading my posts. I wish all of you a happy and healthy New Year 2014!